On Friday, May 7, Co-Chairs Nancy Davis and Tommy Hilfiger welcomed guests to the Hyatt Regency Century Plaza for the 17th Annual of Race to Erase MS. The event raised $2 million to benefit the Nancy Davis Foundation for Multiple Sclerosis. Celebrity guests as this year’s event included host, MS survivor and advocate Nancy Davis and host Tommy Hilfiger, along with Buzz Aldrin, Loni Anderson, Tom Arnold, Drake Bell, Mayim Bialik, Brooke Burke, Sophia Bush, Kaley Cuoco, Taylor Dayne, Tony Dovolani, Erik Estrada, David Faustino, Jenny Fletcher, Debbie Gibson, Ashlan Gorse, Heart, Anne Heche, Chelsie Hightower, Nicky Hilton, Paris Hilton, Dr. Hollywood, Kelly Hu, Stephanie Jacobsen, Brody Jenner, Kym Johnson, Robert Knepper, Ali Landry, Jessica Lowndes, Avril Lavigne, Gilles Marini, James Maslow, Chris Massey, Kyle Massey, Dr. Phil McGraw, Rickey Minor, Nancy O'Dell, Apolo Anton Ohno, Masi Oka, Megyn Price, Kelly Rutherford, Melissa Rycroft, Jennifer Taylor, Alessandra Torresani, James Tupper, Aiden Turner and many more. The 17th Annual Race to Erase MS opened with a star-studded Tommy Hilfiger fashion show, highlighting the designers Spring 2010 collection. The evening also included a live auction with Tom Arnold and Nancy O’Dell. Brooke Burke helped auction off an adorable maltese puppy, and with a winning bid of $210,000 one lucky guest walked away with a Lamborghini Gallardo LP 560-4. Presenters at this year’s gala included Olympic gold medalists Apolo Anton Ohno and Lindsey Vonn, as well as Dr. Phil & Robin McGraw and Christopher & Kyle Massey. 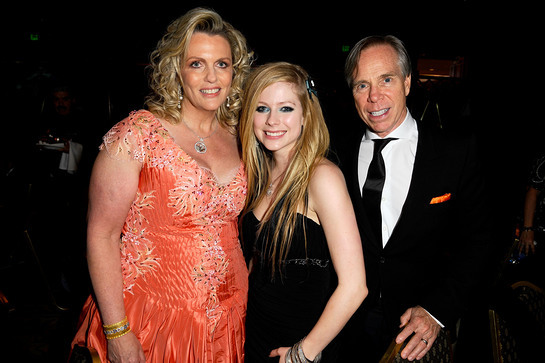 Nancy Davis, Avril Lavigne and Tommy Hilfiger at Race to Erase MS Event. 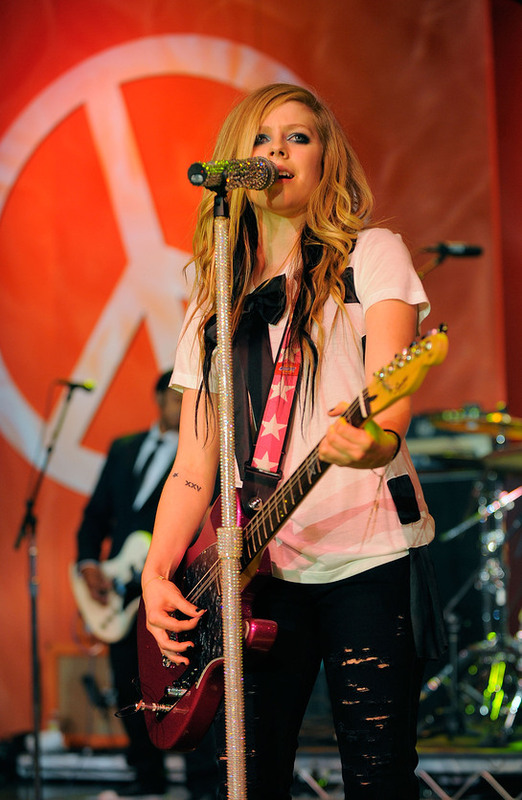 In Race to Erase MS tradition, the night ended with a performance of “Lean On Me” featuring Heart, Avril Lavigne, the Davis Family and their special guests for the evening.